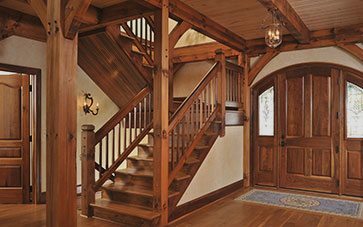 We build Custom Timber Frame Homes crafted by skilled timber engineers to make your dream home a reality. Our custom designs are as unique as our clients. 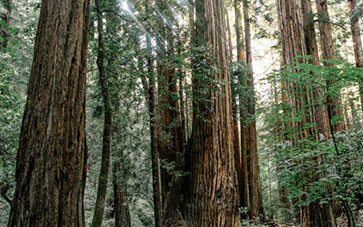 With one-of-a-kind timber structures and versatile floor plans, our goal is to exceed client expectations. 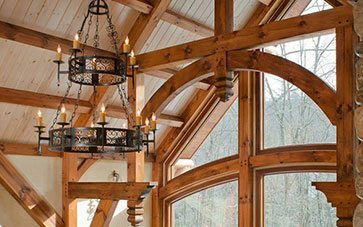 We use only the most durable and energy efficient materials to build you a seamless dream home that will stand the test of time. If the proof is in the pudding, then grab a spoon. We have had the privilege to design and integrate our timber frames into over 200 structures. Preview your project virtually with our sophisticated 3D modeling software. It allows you to do a walk through of your future home.